The $64 million dollar question, how much should you pay? Well before you even think about the price, you have to be sure what your goals are, because I can tell you right now, that your goals are going to very much affect the price you pay. For example, if you just want to get a game into the app store as quickly as possible, and don’t really care much about the players experience, then you are probably going to find a reskin is going to be relatively inexpensive for you. Cheap even. On the other hand, if you are an absolute perfectionist and want everything to be perfect, you can expect to pay a lot more. 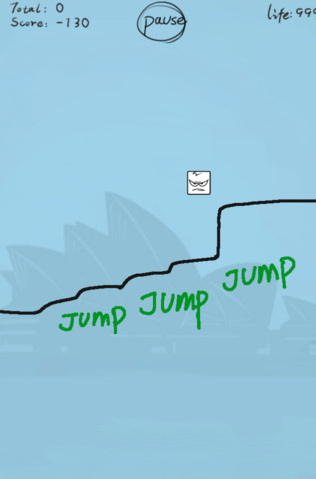 My advice is to be somewhere in the middle. What you should be aware of is that the graphics are probably the most important aspect in a game (some might argue that sound and music are). There is no doubt that graphics are going to play a major factor in your players decision to even download your game, let alone whether they keep playing it. So it really makes no sense to go for the cheapest option, since you are self sabotaging your future success. Have you even seen a game with bland or unattractive graphics featured by Apple, or in the top 200? Have you ever seen a game that has virtually any success with bland graphics? Here simple does not mean bland. 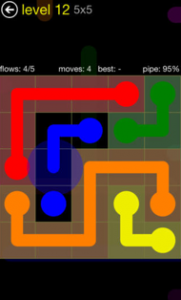 The game, flow free available on Apple app store is an example of simple graphics – This is a hugely popular game and the graphics are perfect for that game. Not bland at all. Contrast that to this game (I won’t link to it as I don’t want to embarrass anyone). Pretty terrible. And lastly, lets contrast that to some great looking graphics from the game Kingdom rush frontiers. Big difference in graphics right? 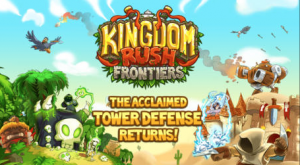 Would the graphics in Kingdom rush frontiers have cost more than the “unnamed” bland game above. Yes. But would gamers be more likely to download and get involved in your game with better graphics? You bet they would. Generally speaking, better quality graphics will mean more money in your pocket. Yes the Apps that make money have better graphics than the ones that don’t in most cases. Your investment in graphics for your reskinned games should be just that, an investment. It is not an expense like a cup of coffee where you try and find it for the cheapest price. Make sure you take the time to get some great looking graphics from real artists that look great. Get involved with the process, ask for some samples of your artwork during design. Don’t assume an artist will be good. Find out. The second point I want to make is about buying graphics from “graphics factories”. Now, that is probably a made up phrase, but I am referring to people or websites that offer you a fixed price on a set of graphics and give you very little involvement in the process. Often these services ask for the entire payment up front. Bad idea. In our case, we never ask for 100% of the fee upfront, and we believe you should never pay 100% up front for anything. It is fair to expect to pay a portion up front as this protects the artists from you just “changing your mind” if they have spent hours doing some work for you. The thing is, these “factories” just want to get through the graphics as quickly as possible. They don’t care about the quality, they are all about getting as many customers as possible and generating as much income in the shortest possible time. That is working almost completely against what you are trying to achieve with your games right? You want excellent graphics, and not ones that are rushed, and of average quality. The other thing is, they will often not include high definition graphics. The thing is, iPhones and iPads each have a regular and “high definition” mode (called retina). Each of these styles requires different sizes of images. So that is four sets of images to correctly support all formats. If you don’t provide the high definition images, then guess what? The game will still work on a retina (HD) device, but it will look crappy, and that goes back to people not engaging in your game! Less downloads, less income. See the problem? Sneakily, many of these “graphic factories” will tell you that they are not providing retina (HD) graphics because it bloats your game, when in reality its because they want to do less work, and are happy to provide you with a cheap product. Further to this, some may even claim you should not include retina (HD) graphics because the game may have trouble downloading on iPhones or iPads when they are not connected to Wi-Fi. This is usually not true, and in any event apple recently doubled their limit of how many megabytes a game has to be to allow it to download with Wi-Fi to 100Mb which is enough for many games with retina graphics. One other issue to consider. What about the game icon? Is it created with input from someone with experience in App store optimization? If you are banking on a graphic artist knowing the tricks that can double or triple downloads (or more) just by the way the icon is designed and colours used (or avoided) then think again. You can be sure most artists have no real idea, and can virtually be 100% sure the “graphic factories” don’t care. It takes expert knowledge to know this. 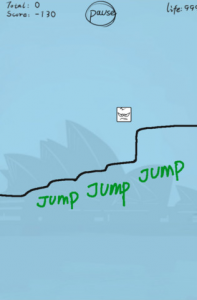 What about screenshots for your game that the player will often look at to decide whether to download your game or not. Are these even included in the price? Are they just screenshots from the game, or have they had extra text added to them to greatly increase the chance of players downloading (see the picture above). Have they been provided in all the right sizes for all iPhone and iPad devices? Are the icons provided in all sizes, including the sizes for IOS 7 which just got released? In many cases you will find this is all at extra cost, or is something you are expected by these “factories” or “cheap” artists to do yourself. And presumably you hired a graphic artist because graphics were not your thing, right? See where I am going with this? The point I am making about all this is that you are investing in reskinning games to actually make a profit right? Don’t shoot yourself in the foot by opting for low quality graphics. Take the time to work with a company that understands the importance of high quality graphics. Yes you may pay a little more, but its far more likely your investment is going to pay itself back big time! At the risk of sounding overly commercial, yes we do all these “extra” things for you. Everything is included, and optimized with the highest quality of graphics, and yes with attention paid to the app store optimization process to ensure you the greatest likelihood of dramatically increased profits with your game. Isn’t that why you are doing this? Previous Post How To Get Starting With Reskinning Apps With No Experience Next Post Source Code For Apps – What Is It And Why Do I Need It?